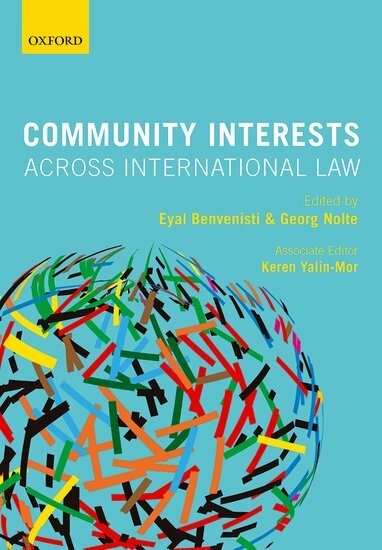 We are happy to announce that OUP just published “Community Interests Across International Law” edited by Eyal Benvenisti and Georg Nolte. This book explores the extent to which contemporary international law expects states to take into account the interests of others – namely third states or their citizens – when they form and implement their policies, negotiate agreements, and generally conduct their relations with other states. 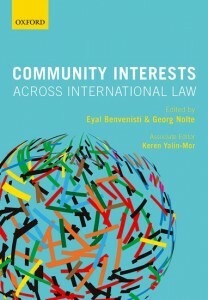 It systematically considers the various manifestations of what has been described as ‘community interests’ in many areas regulated by international law and observes how the law has evolved from a legal system based on more or less specific consent and aimed at promoting particular interests of states, to one that is more generally oriented towards collectively protecting common interests and values. Through essays by experts in the field, this book explores topics such as the sources of international law and the institutional aspects of developing the law and covers a range of areas within the law. This entry was posted in News on May 29, 2018 by Keren Yalin-Mor.